You see your taxable income go up and your mortgage refund go down, where as you would assume if you pay more tax, you get more tax back. What is happening? In the Netherlands it is normal to purchase a house for personal use and loan 100% of the purchase price. Henk Jansen of Expat Mortgages would add that this is not normal, it use to be 112% as you could till recently also mortgage the purchase costs. Those days are over, but are the days of tax refund over as well? Not yet. The mortgage interest you pay to the bank is deductible from your taxable income. If you earn EUR 20.000, then this interest is deductible at 37% income tax. If you earn EUR 50.000 this interest is deductible at 40% and if you are in the highest tax bracket you could till recently deduct the interest at 52% income tax. In the Netherlands we like to keep the gap between persons renting and persons owning not too big, so the advantage of the mortgage deduction is limited by the so called WOZ value. The WOZ value is a value determined by the city the house is registered in and roughly 0,75% of the WOZ value functions as threshold for the mortgage deduction. How then do we get to receiving less mortgage refund? That is caused by multiple reasons. One reason is that the so called WOZ value is determined every year and every year it is higher, as the housing market is booming. Higher WOZ value implies higher threshold, which yields in less refund. The other reason is that you pay back the mortgage loan. Till about 2012 nobody paid back the mortgage loan, as you could have repayment free mortgages, that has changed. Less debt is less interest. Less interest is less deduction. The final cause is the tax rate. You might think I earn an income in the 52% tax rate, so I can deduct the mortgage interest at 52% tax, but that is no longer the case. In 2018 the maximum rate of deduction was 49,5%. In 2019 it is 49%, 2020 46%, 2021 43%, 2020 40% and then in 2023 it is 37,05%. So you see the WOZ value makes the threshold higher, the loan makes the interest base smaller and the tax rates makes the deduction lower. Mortgage refund or early repayment? Sometimes the question comes up if with the lower tax advantages it maybe better is to pay back the mortgage full or partly earlier than the repayment scheme. It goes without saying that you first need to be in the position to do so and if you can the historic question comes up: do I let this cheap method of loaning money go or do I keep it and yield more income with investments? And on such a question we have no answer. We do know that if you want to make an extra repayment you are often charged a penalty for this extra payment. This is a tax deductible penalty. Having less debt makes you have less issues in the case of a crisis. Economic crisis or a crisis of losing your job. Would you like to get a mortgage? If you are in the market of purchasing a house and you would like to learn more about whether you qualify for a mortgage, how to purchase a house, how to get the house in your name or how to get the mortgage refund, visit one of the free Expat Housing Seminars we organize. 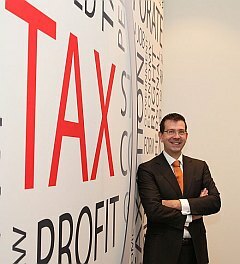 We are tax advisors that help you comply with the tax filing obligation when you owned a property in the Netherlands. Either occupied by yourself or rented out, a tax return needs to be filed.